Building the case for a $100 million campaign. 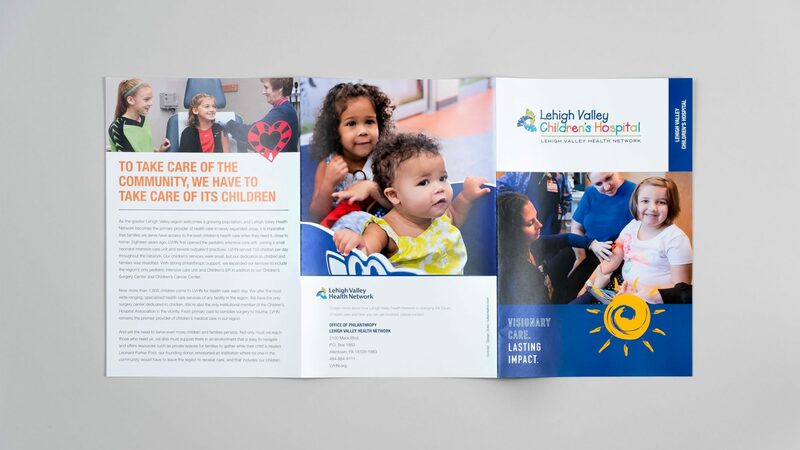 In 2017 the Lehigh Valley Hospital Network (LVHN) launched the most significant fundraising campaign in its 100-year history — $100 million to advance its groundbreaking Cancer Institute, expand its Children’s Hospital, and serve surrounding communities with holistic, compassionate care. 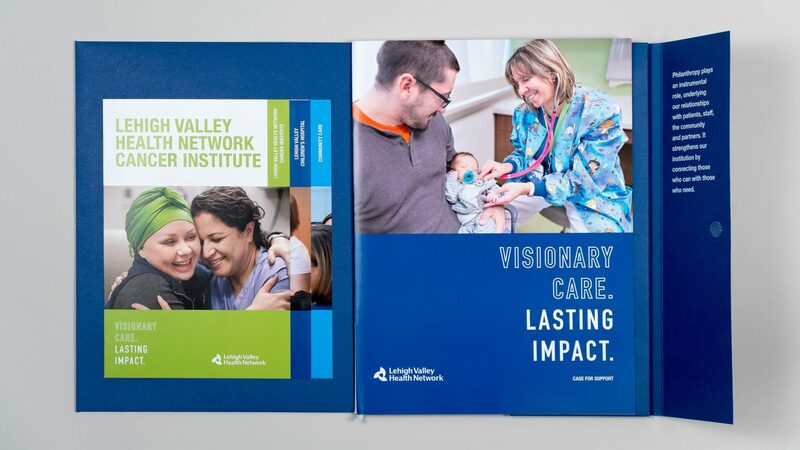 To demonstrate the opportunity, impact, and vision of the campaign, LVHN turned to Suka. The comprehensive and modular case for support placed patients and the impact of LVHN on their lives at the heart of the campaign. 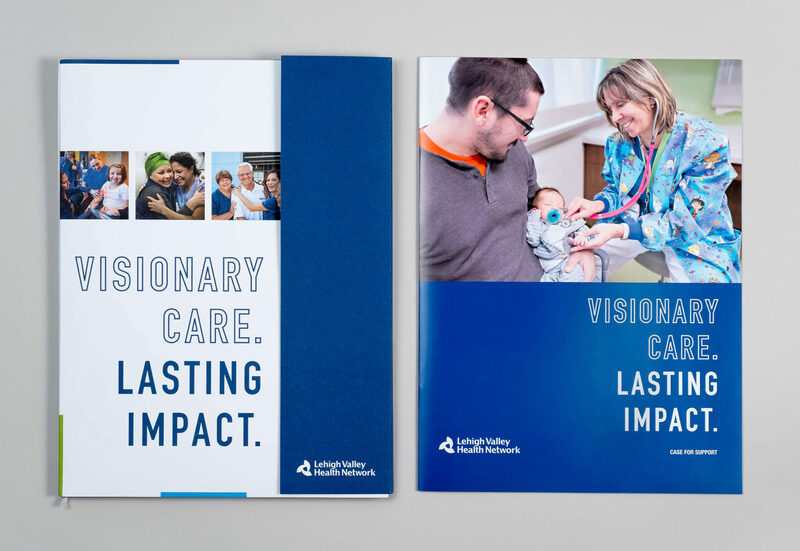 Following an initial discovery phase, Suka distilled down LVHN’s core promise and named the campaign “Visionary Care. 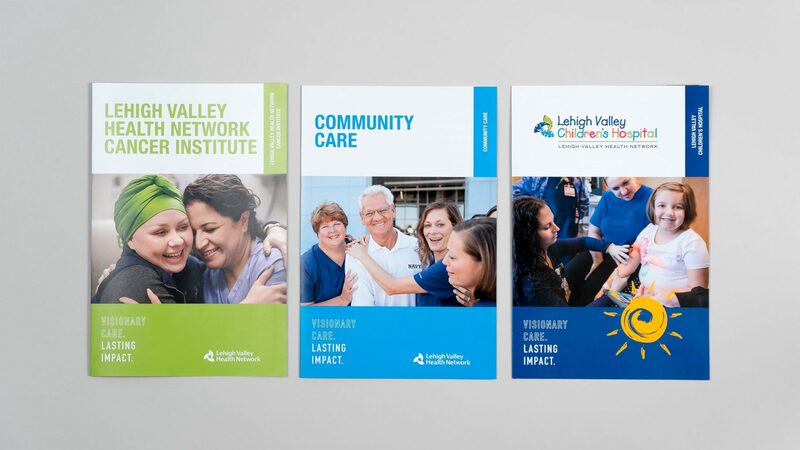 Lasting Impact.” We wanted the campaign name to express LVHN’s goals to expand access for the community and focus on long-term health and wellness programs. 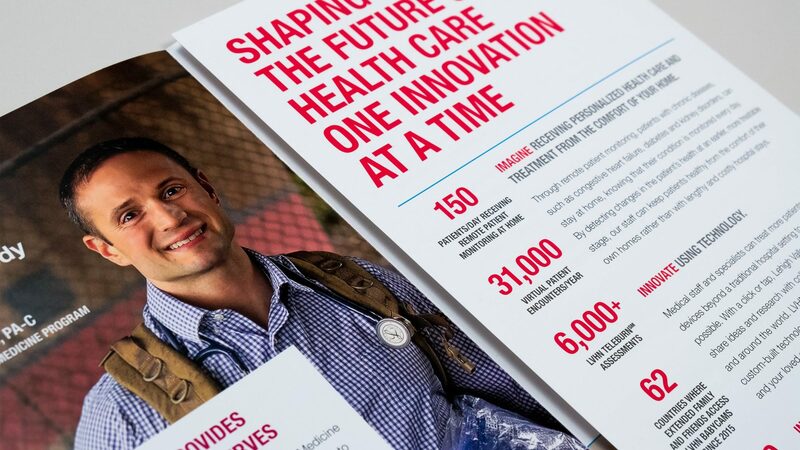 We conceived of a bold suite of materials that would share the vision of the campaign and illustrate to major donors the ground-breaking impact their support would have on the well-being of their loved ones and communities. The campaign’s case statement provided background information on the Network and introduced its fundraising priorities. 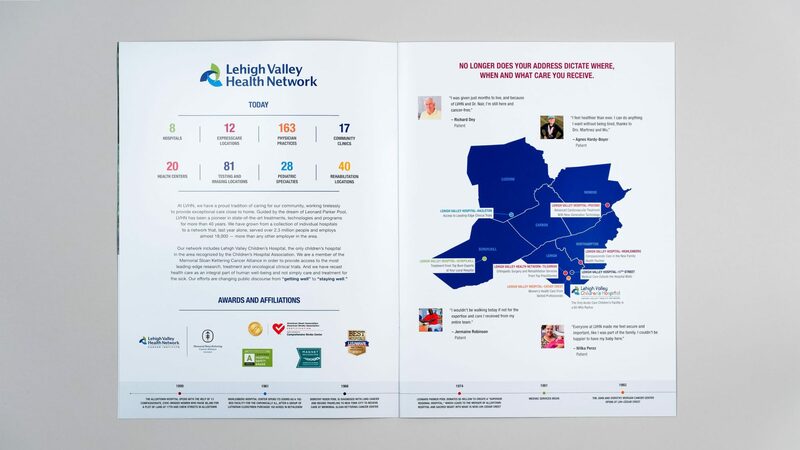 Data-driven information graphics and a multipage timeline were featured prominently to illustrate the impact LVHN has on patients’ lives and show the Network’s long-term commitment to transformative care. 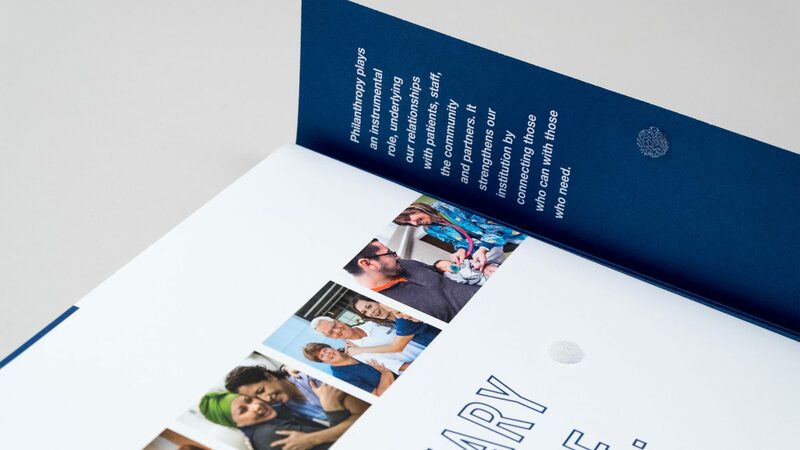 A secondary set of brochures provided more details of the campaign’s major initiatives and told deeply touching patient stories. Taken together with the case for support, these stories and graphics paint a comprehensive picture of how LVHN provides sustained, extraordinary care to the Lehigh Valley community. The presentation of the campaign to high-level donors was a crucial design consideration for Suka. The modular nature of the campaign materials — housed in a custom-designed folder — allowed the fundraising team to use the pieces independently or together, working in different permutations to service a variety of donor segments. Both a presentation tool and a leave-behind, the suite of materials could easily accommodate supplementary information tailored to a particular donor as needed.